June 5- Wal-Mart held their annual shareholders meeting and the entertainers were spectacular as usual. Even though it’s long couple of days, I actually look forward to covering the event every year. It’s fun to listen to the entertainers and see some of the executives a little more relaxed. It’s also neat to learn about the company and the things they do, changes they’ve made, etc. Here are a couple of images shot during a tour of a Wal-Mart Supercenter. My editor asked me to shoot the dollar isle (who knew they had one?! ), but the store we were touring only had one seasonally… and of course it was out of season. I was trying to get signage that indicated inexpensive items when I came across a colorful display of toys. As I was waiting for a person to walk past, a 12-year-old kid walked past, stared me down and asked me what I was doing. I explained who I worked for and he asked me why they would want a picture of “that” b/c it was so “common.” really? When I was his age, I can’t imagine walking up to someone and talking, much less smarting off to them. Oh well, I got a good giggle out of it! In between the Wal-Mart and Sam’s Club tours, we stopped at the media hotel for lunch and a presentation. I was pretty happy with the two images I came up with considering the location was less than ideal for a photo. Kris Allen sang with Smokey Robinson. 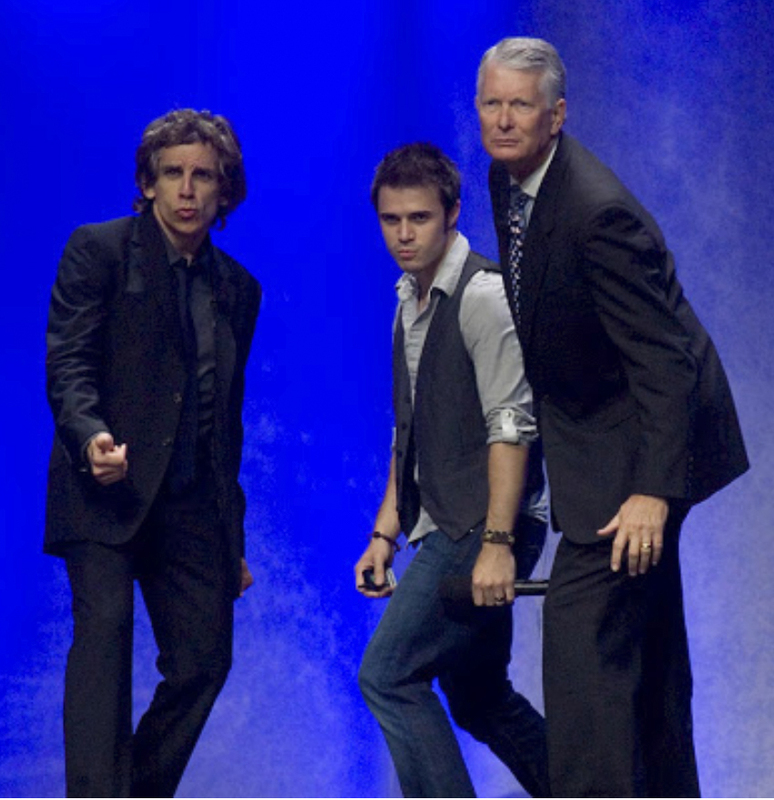 Ben Stiller, Kris Allen and Wal-Mart CFO Tom Schoewe give their best “blue steel” look to the audience. Ben Stiller gives his best “blue steel” look to the audience as Kris Allen and Wal-Mart CFO Tom Schoewe react. Susan Chambers, EVP of Global People Division, was over the moon while talking to former NBA player and childhood hero, Michael Jordan. I want to be like Mike!